Alive! 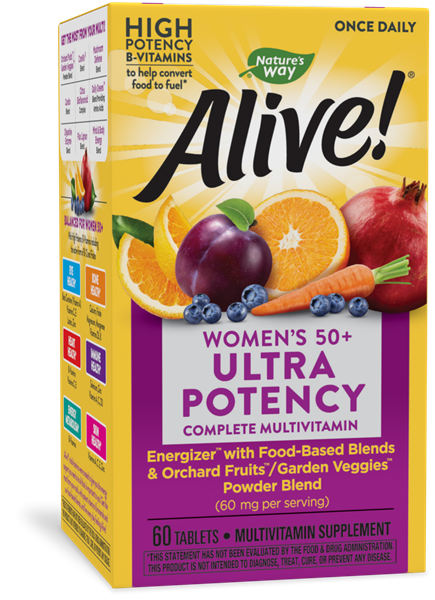 Once Daily Women’s 50+ Ultra / 60 Tabs - Nature's Way®. Take 1 tablet daily, preferably with food. Not formulated for men or children. If you are pregnant, nursing, have high blood pressure, have a kidney disorder, taking medications for diabetes or any other medications, consult a healthcare professional before use. Contains the amino acid phenylalanine. Do not exceed recommended use.